I'm generally not a proof-chaser. 100 proof is about my limit for whiskey before I stop trying to drink it neat and start adding water or a small piece of ice to it. I like my whiskey to be comforting, and I don't find that burning my tongue on alcohol is all that comforting. That isn't to say that I dislike high proof whiskeys. I usually like them quite a bit. I just also usually dilute them a little. Notice the use of the word usually there? That's because every once in a while a whiskey hides it's proof a bit. It's got some bite and burn to it, but not enough to make you want to dilute it too much. Which is both a good thing and a bad thing. I like to drink whiskey neat when I can so that's good. But if it drinks like a whiskey 20 proof points lower...that could make for a rough next morning if you aren't careful. Purchase Info: $69.99 for a 750 mL bottle at Ace Spirits, Hopkins, MN. Details: 56.3% ABV. A blend of the MGP 95% rye and the MGP 51% Rye mashbills aged 5-6 years (according to their PR firm). Made from a batch of 83 barrels. Nose: Spearmint, pipe tobacco, oak. Mouth: Spicy with nutmeg, clove, and honey sweetness. Spearmint as it moves back. Finish: Long and warm. Spearmint, citrus, and pipe tobacco. Thoughts: I like this. I really like this. When neat, this is an exceedingly drinkable whiskey for a 112° proof. There is burn, but I've had the same in whiskeys of a lower proof. How does this compare to the 94° proof version? About how you'd expect. The 94° proof expression is more approachable than the Barrel Proof. They both have a similar backbone to them. I find that the influence of the 95% rye is a bit more pronounced in the 112° proof. But that's ok. I'm a big fan of those flavors, so that doesn't bother me in the least. If you are a fan of MGP ryes, I highly recommend giving this one a shot. We all know that MGP makes a good chunk of the rye whiskey on the market. And I don't know about you, but I've always loved that 95% Rye, no matter who is bottling it. When it was first announced that MGP was buying the Remus brand and bringing it in-house, I wondered how they planned on negotiating the fact that they were basically competing with their clients. But when I tasted it, I knew. They were going to put out a solid product that didn't have the "middle-man markup" in the price. Which made me curious if they were going to try a rye. Like I said above, the MGP style 95% rye was the first rye I fell in love with. Not the first that I'd had, but the first that I'd loved. And I was excited when I learned they were going to start producing multiple styles of rye whiskey a few years ago. These days in addition to their famous 95% rye/5% barley mash whiskey, they also produce a 51% rye/49% barley whiskey (named 49% barley in their product list) and a 51% rye/45% corn/4% barley one (named 51% rye in the product list). So how will they stand out from a market full of MGP rye that isn't being bottled by them? Easy. Combine more than one of their ryes, call it Rossville Union, and sell that. 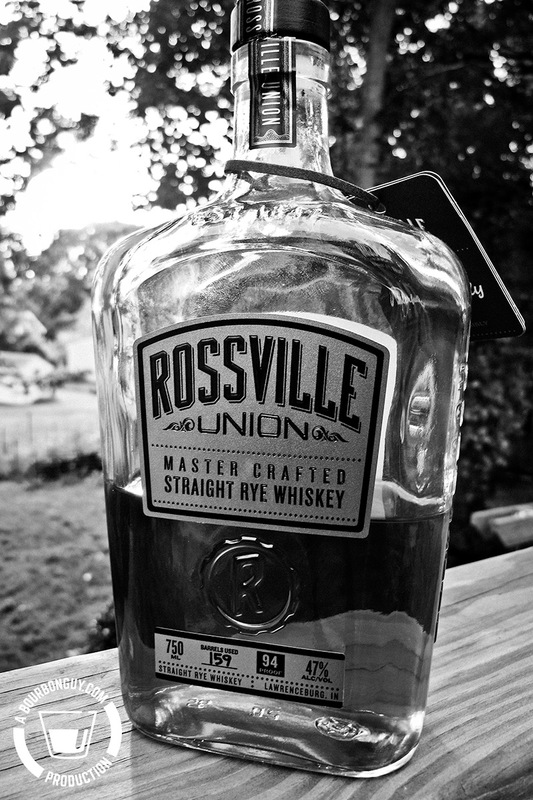 So what is Rossville Union Rye? It is a blend (mingling) of the 95% rye and the 51% rye mashbills that have been aged for 5-6 years. Sounds interesting to me, let's give it a shot. Purchase Info: $39.99 for a 750 mL bottle at Ace Spirits, Hopkins, MN. Details: 47% ABV. A blend of the MGP 95% rye and the MGP 51% Rye mashbills aged 5-6 years (according to their PR firm). Nose: Bubblegum, spearmint, pencil shavings, and fleeting hints of dill. Mouth: Good rye spice. Baking spice, spearmint, and a light white sugar sweetness. Finish: Medium length and warm. Lingering notes of spearmint and baking spices. Thoughts: Well, they did it. 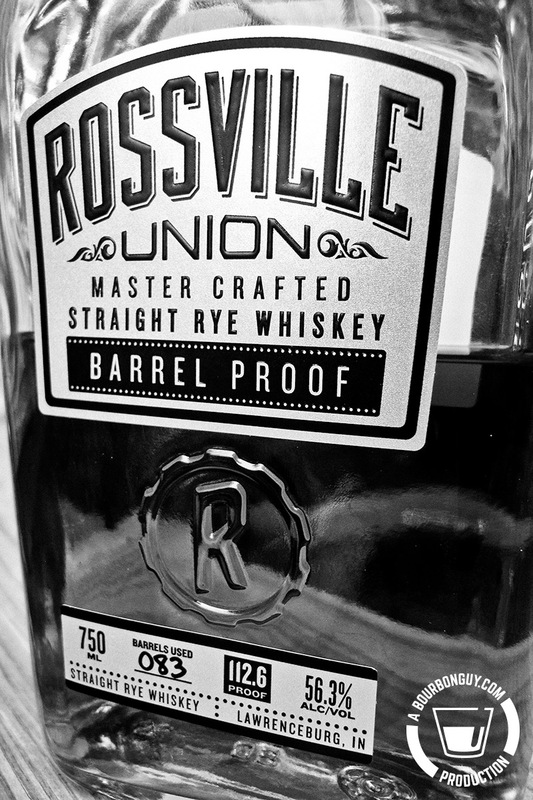 This is both similar to and very different from the 95% Rye that everyone else and their uncle bottles. I like it a lot. It has a good mouthfeel and decent spice. But not too much spice. Very approachable. I'd buy another bottle. "For the price of this whiskey, there is no reason for it to not always be on your shelf. It works great in cocktails and I love to drink it neat. Inexpensive, tasty and versatile." So almost 6 years ago, I thought that this was the bee's knees. The best rye I'd had. And even at that early date, I'd had quite a few different ryes. Something about that 95% rye mash bill made me very happy. Even now, I tend to prefer the MGP Indiana-style rye over all others. Kentucky Ryes are just spicy bourbon. Canadian 100% ryes can be good, but these days it feels like they are either under-proofed or overpriced. I haven't had enough of the "Rye Mash with Malted Rye" style 100% Rye to make a firm judgment, but the ones I've had so far have been more interesting than good. It is safe to say that over the years, this has been the most common rye to hit my shelves. I use it in cocktails, I drink it neat, and I use it in blending experiments (which only makes sense since it was originally developed as a component of a blended whiskey). But one thing I haven't done for almost 6 years is sit down and do a thoughtful tasting of it. I'm curious how my palate has shifted in the intervening years. Details: MGP distilled. 95% Rye Mash. 45% ABV. Nose: Mint, cherry, and pipe tobacco. Mouth: Spicy with mint, dill, cherry, and pipe tobacco. Finish: Medium length with lingering spice, mint, and cherry. Thoughts: This is the first Revisited whiskey that I have downgraded the rating on. It's not that I like it any less than I did six years ago, I've just raised the bar for those that I "love." It's interesting how little the notes on this whiskey have changed for me. I still get cherry and pipe tobacco. A combination, it is safe to say, I have never gotten on another whiskey. Yet I got it here almost 6 years apart. That is a testament to the prowess of both MGP and Diageo. I really like this one. And honestly, I'll repeat my message from six years ago, tortured grammar and all: "For the price of this whiskey, there is no reason for it to not always be on your shelf."